I think… I hope… that honest to goodness spring has arrived here on the west coast. I don’t want to get carried away and cause too much fuss in case it scares it off… but it’s actually possible we may get summer like temperatures this weekend! What better way to kick it off than to start experimenting with salads? Salads are great because the possibilities are endless and you do not need to be able to cook to make something fabulous that also looks so pretty. I often make them for lunch just by chopping up some veggies and greens and chucking them in a tupperware container. Add some protein in the form of nuts, hard boiled eggs or leftover meat from the night before. If you’re really hungry you can add a carb like the leftover roasted potatoes I used here, or a grain of some kind. Sprinkle a little grated cheese for your dairy group, add an olive oil based homemade dressing and you have your healthy fat. All in one bowl. Simplicity! Usually, I’m very unglamourous… everything goes in the tupperware container, I pop the lid on, shake it all up and then eat it. But last week I wanted to practice my salad styling and presentation. Styling is always the hardest part of taking photos for me. I don’t pay much attention to presentation when I cook, because frankly, it’s usually a pretty limited audience: me! I just wanna eat it! 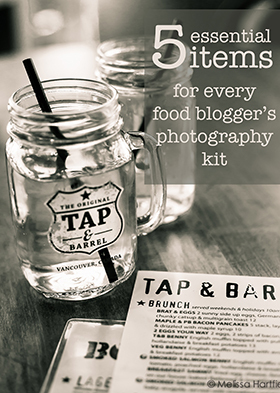 I also understand why there are food stylists and food photographers. Very different skill sets! Choose your dishes carefully. White is always a safe bet but can be kind of boring. Don’t be afraid to experiment with other colours. If your salad is a rainbow of ingredients you probably want to stick with a single solid colour dish, like this yellow bowl. It’s bright and cheerful but doesn’t distract from the salad itself. If your salad is monochromatic, don’t be afraid to use something with a pattern. 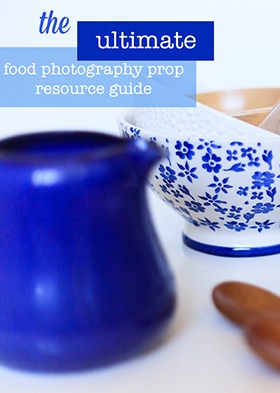 Keep your ingredients to a minimum in order to showcase them for the photograph. It’s really hard to see here but there was also cucumber and celery in this salad – but it’s kind of lost. Keep it moist. Try tossing the ingredients in a tiny bit of dressing before adding each one to the dish, or spritzing them afterwards with a very fine mist of water or dressing. As you can see here, I drizzled on dressing before shooting but the meat looks a bit dry (it wasn’t!). A little coating of dressing would’ve made it look fresh from cooking. There’s no real recipe for this dish. It was lettuce, tomatoes, cucumber, celery, chopped leftover roasted potatoes, Italian sausage and cranberries, topped by the sesame Thai dressing I happened to have in the fridge. And then all tossed together (in a tupperware container) and eaten! I took the photos over a week ago and I can’t remember much about them except that it was mid-day at my kitchen table. I know I didn’t use a tripod and I did use a reflector held up by my fruit bowl. The light looks like it was diffused but I know I didn’t use a diffusor so I’m wondering if it was an overcast day so the light wasn’t too direct. I need to write this stuff down! “I took the photos over a week ago and I can’t remember much about them except that it was mid-day at my kitchen table.” — this made me laugh out loud because I was browsing the photos in my “chicken” folder the other day and couldn’t even remember what the name of the dish I was staring at! 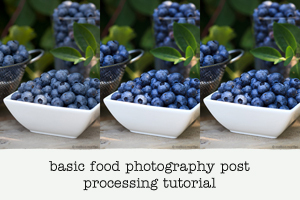 The photo was taken over 6 months ago and I hadn’t done the post yet, so I learned a lesson about naming photos when I upload them (even if I think the dish was so memorable I’ll remember it!). Ugh. Oh, maybe that would be a good topic … how to organize your photos? I know there has to be a better system than what I am currently doing. I have so many photos for posts i was going to write but never get around to. Mostly because I can’t remember what I was going to write about! But thanks for the photo organization idea – I was going to ask people what they’d like for a new tutorial type post – that’s a good idea! 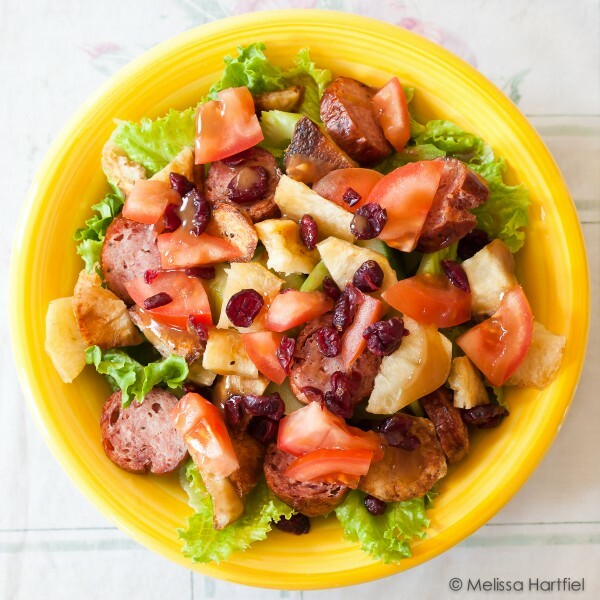 This is my kind of salad and in the warmer months I eat great combos like this all the time. Love your yellow bowl! 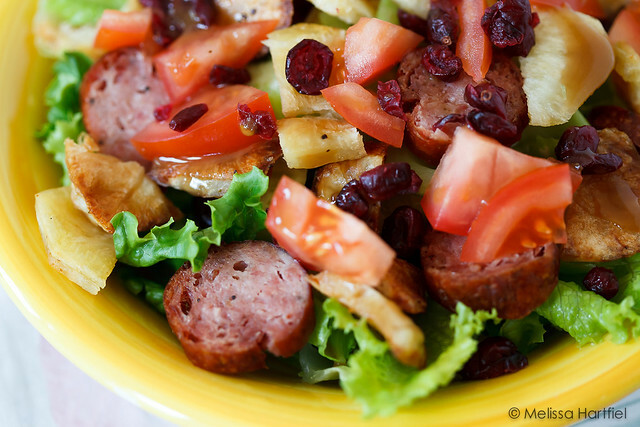 Great tips and a fabulous looking and photographed salad. I’m with you about the styling vs. the photography. 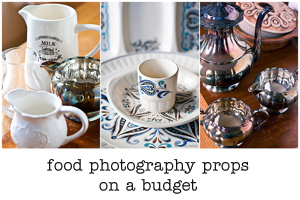 I wish I had a full-time food stylists, not only to learn from, but so I can just concentrate on the shooting and all the technical aspects of it. 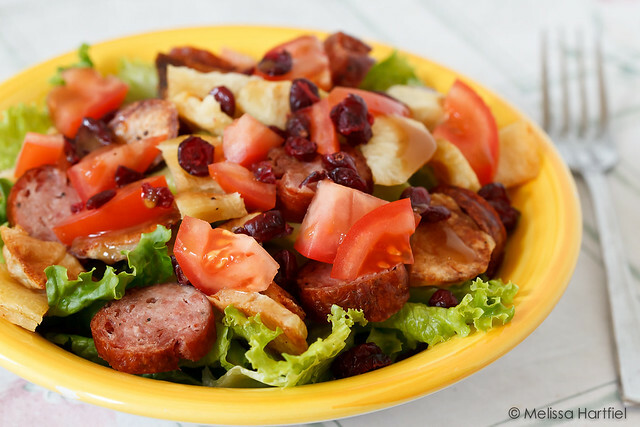 Beautifully captured and vibrant salad, Melissa.